Livestock death loss to predators is typically much lower than loss from disease and natural causes (based on USDA data and my own surveys of California ranchers). Even so, predators can present significant localized challenges – and for many ranchers, a single loss to a predator may be one too many. As I mentioned in my previous post, indirect losses (mostly stress-induced production problems and added labor) may be more significant in economic terms than death losses (see Ramler et al. 2014). For me, as a small-scale sheep producer, livestock protection tools are important for a number of reasons in addition to preventing death losses. Since we graze our sheep on rangelands and pastures that are 3-10 miles from our home, I can't watch them 24-7. Livestock protection tools can alter human behavior, alter livestock husbandry practices, alter predator behavior and/or provide disruptive or aversive stimuli to predators (Shivik 2004). As with any management tool, my selection of specific nonlethal tools depends on efficacy, cost-benefit considerations, public perceptions (including market forces that may increase demand for predator coexistence), and my own attitudes toward and confidence in the methods. In this post, we'll examine several tools that have been suggested for use in wolf country. As with the tools I discussed last week (guardian animals and electric temporary electric fencing), the efficacy of these tools depends on a number of the factors outlined above. Attractant Removal: Many predators are also opportunistic scavengers; therefore, a dead animal may attract predators into an area currently being grazed by livestock. Attractant removal involves the removal and disposal of dead livestock, as well as the removal of sick or injured livestock. These strategies can reduce attraction to areas used by livestock and may avoid giving predators a taste for livestock (Wilbanks 1995). Observational evidence in the northern Rocky Mountains and on the Modoc Plateau suggests wolves that are attracted to bone yards may be more likely to kill cattle or sheep in adjacent areas (T. Kaminski, pers. comm., 2016). 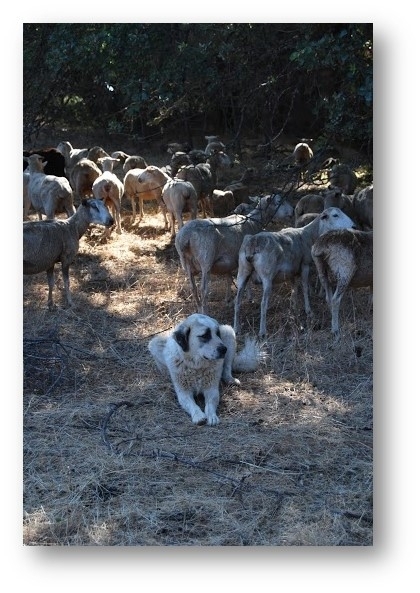 Bone yards may also attract livestock guardian dogs away from the livestock they are protecting (N. East, pers. comm., 2016). Anyone who's tried to dispose of the carcass of a 2000-pound bull that managed to die 15 miles from the nearest dirt road will know that this tool presents a number of logistical challenges. Many times, we don't find a carcass before it's discovered by scavengers. Even if we can get the carcass to the road, the cost of transport and disposal in a rendering facility may be cost prohibitive. Burying livestock carcasses is currently legally prohibited in California (Antonelli et al. 2016), as is the composting of mammalian flesh (CalRecycle 2017). In light of these challenges, ranchers might consider moving a carcass as far away from livestock as possible. Fladry or Turbo Fladry: Believe it nor not, flapping flags hung at the right height can deter wolves. Fladry is a series of cloth or plastic flags attached to a rope or wire that creates a novel visual stimulus wolves find uniquely frightening (Bangs et al. 2006). Over time, wolves may become habituated to fladry, willingly crossing fladry barriers to kill livestock (Musiani et al. 2003). This study also found that fladry may push wolves to neighboring ranches or unprotected pastures. Turbo fladry (electrified poly-wire with flags, powered by a standard electric fence energizer) may be as much as 2 to 10 times more effective than non-electrified barriers (Lance et al. 2010). I would think that fladry may be a useful tool in smaller-scale pasture settings (e.g., heifer calving pastures or sheep bedding grounds). Fladry may not be an effective deterrent for predators other than wolves (Davidson-Nelson and Gehring 2010), although one study has suggested fladry may deter coyotes as well (Young et al. 2015a). 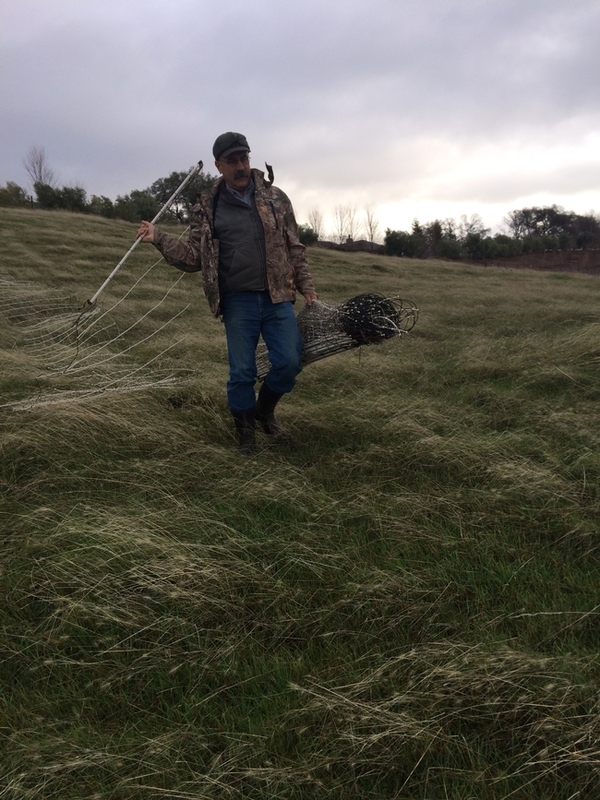 If you want to try turbo fladry, USDA Wildlife Services has several miles of it available to loan to ranchers – call the Wildlife Services state office at (916) 979-2675 for more information. Night Penning: Night penning is exactly what it sounds like – it involves bringing livestock into a secure pen at night. Night penning (and to a lesser extent, simply night gathering) sheep can be effective in reducing wolf predation, especially when used in conjunction with livestock guardian dogs and/or human presence (Espuno et al. 2004). While night penning can provide protection during vulnerable periods, it comes at the cost of additional labor and facility construction and maintenance (Wilbanks 1995). In my experience, night penning works with small groups of animals (for 4-H or FFA projects, for example); it simply isn't practical in extensive operations. Alarms/Scare Devices: Some predators seem to be afraid of novel stimuli. Strobe lights, propane cannons, and siren devices (including radio- and motion-activated guard devices) may temporarily displace or confuse predators (Bangs et al. 2006). Early research into battery-operated strobe or siren devices in fenced-pasture sheep operations across the western United States found that these devices deterred coyotes for up to 91 days and reduced lamb losses an estimated 44 to 95% (Linhart 1984; Linhart et al. 1992). However, habituation can be a problem if these devices are randomly—rather than behaviorally—activated (Shivik and Martin 2001). On the other hand, preliminary research at the University of California Hopland Research and Extension Center (Mendocino County) indicated mixed results with a new type of strobe light that emits random patterns of flashing light (trademarked as FoxLights). While initial results suggest FoxLights may be effective in deterring fox predation, the data collected so far do not support hypotheses of reduced livestock predation by coyotes, black bears, or mountain lions (McInturff et al. 2016). In my next post, I'll discuss research and personal experience regarding the effectiveness of human presence (herders or range riders), as well as the importance of adapting these strategies to changing conditions. I hope others will share their experiences with these tools, as well! Be sure to check out the Livestock-Predator Information Hub at http://rangelands.ucdavis.edu/predator-hub/! Anyone who raises livestock in the Sierra foothills/mountains or the northern Sacramento Valley has had to contend with predators. Some research has suggested that conflicts between livestock and predators are inevitable, especially on extensively managed rangelands (Breck 2004). While coyotes, mountain lions, and black bears are the large carnivores that come to mind for most livestock owners, other potential predators include domestic dogs, birds of prey (and other birds), bobcats, and foxes. Recently, gray wolves were noted in Plumas County – and the California Department of Fish and Wildlife predicts that wolves may eventually come as far south as I-80 in the Sierra. Legal restrictions and public perception regarding lethal predator control make nonlethal livestock protection tools critical for ranchers and small-scale livestock owners alike. 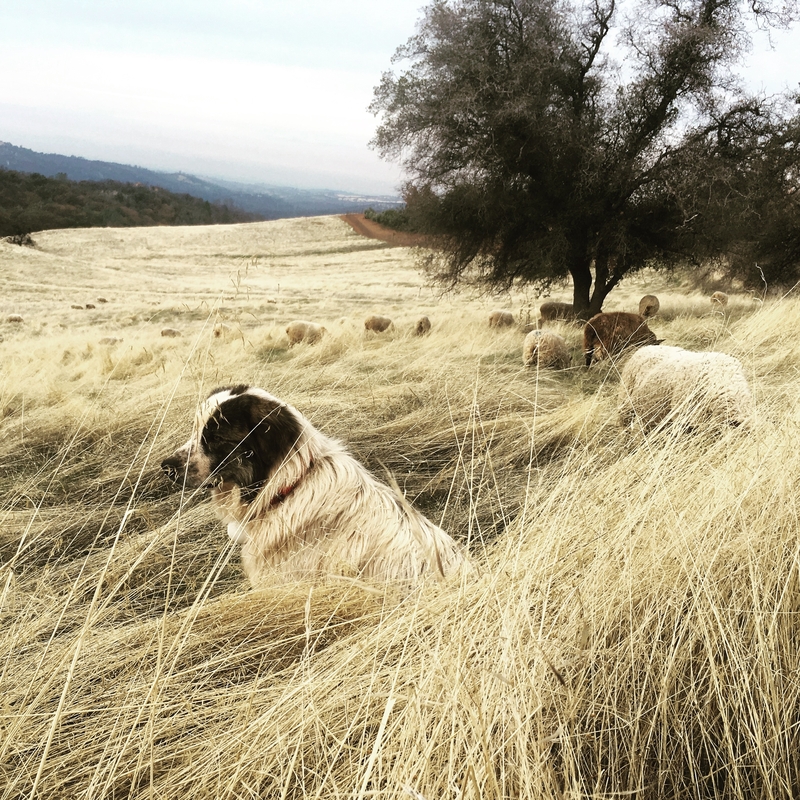 Equally as important, many producers (myself included) emphasize co-existence – part of what I enjoy about grazing sheep in our foothill rangelands is the opportunity to be around wildlife. For those of us who cannot be with our livestock around the clock (that would include most of us, I presume! ), these tools can also offer peace of mind. While most of us think of direct losses (that is, livestock death loss) when it comes to predators, there is evidence that indirect livestock impacts (like added labor, lower reproductive success, lower weaning weights, etc.) may be equally significant (Ramler et al. 2014). I'm leading a team of UC researchers that has recently started a long-term study to analyze these indirect impacts in California – I'll discuss this in more detail in the future. 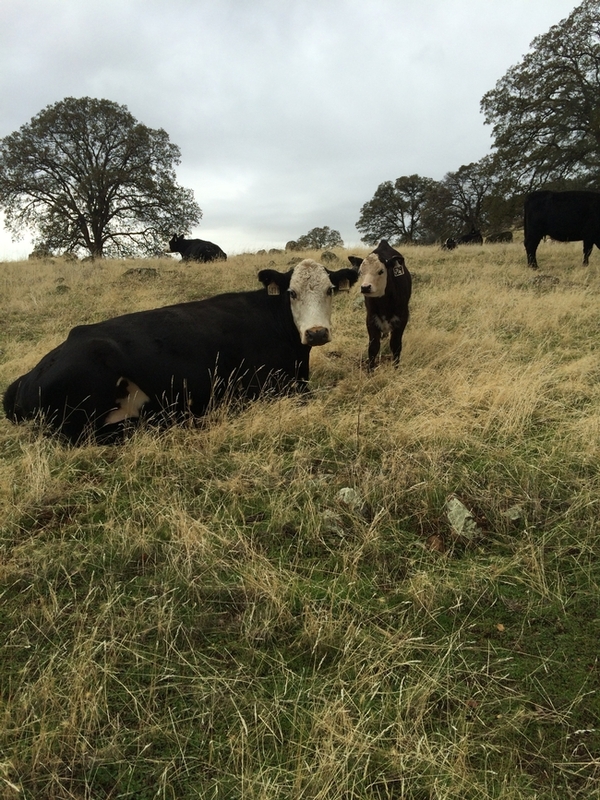 Over the next several months, my Ranching in the Sierra Foothills blog will highlight information from a forthcoming UC publication on livestock protection tools. These blog posts, which reflect both research-based knowledge and real-world experience, are intended to help ranchers and small-scale livestock owners evaluate the types of tools that may fit their site-specific needs. In this post, I'll briefly describe two of the tools that we use in our pasture-based sheep operation near Auburn. my own experience) suggests that dogs are the most effective option for protecting livestock from the full range of predators present in our region (Gehring et al. 2010). Donkeys and llamas, on the other hand, may be longer lived and easier to maintain (since their dietary requirements overlap with the livestock they are protecting) (Andelt 2004). The effectiveness of any guard animal is directly related to its environment, the predators that are present, and producer attitudes. I've had guard dogs and llamas that were effective; I've also had some that were not. And a guardian animal that works in my management system and environment might not work elsewhere. Temporary Electric Fencing: Fences can either be physical barriers (like field fencing) or psychological barriers (like electric fencing). In my experiences, few (if any) fences are 100 percent effective. An adult coyote can squeeze through a 4”x6” opening; a mountain lion can scale a 6-foot fence. In our sheep operation, we've had good success using 42” electro-net fencing. These fences, which come in 164-foot sections, feature electrified horizontal poly wires and plastic stays between posts. We use battery powered fence energizers, and I should note that these electro-nets take significantly more power than smooth-wire electric fences (I like to have at least 0.25 joules per net – in other words, a 3-joule energizer is needed to power 12 sections of fence). Research in Montana suggests that electro-net can significantly reduce coyote intrusion into paddocks (Matchett et al. 2013). While I've seen a coyote jump my electro-net fencing while I was building a paddock, I've never observed a coyote inside a paddock once it was electrified (in more than a dozen years of using electro-net fencing extensively). Obviously, these (and other) livestock protection tools have costs associated with them. Ranchers – and small-scale livestock owners – must compare the costs of these tools with the protection benefits. Costs are easy to tally; benefits are more challenging – after all, how can I measure the number of livestock NOT killed by predators. That said, site- and operation-specific combinations of these tools seem to prevent direct losses, and may reduce indirect impacts in some production systems as well (Stone et al. 2017). In my next post, I'll discuss several more livestock protection tools, including attractant removal, night penning and alarm/scare devices. I hope other producers will share their experiences with livestock protection tools, as well! In the meantime, be sure to check out the Livestock-Predator Information Hub at http://rangelands.ucdavis.edu/predator-hub/. Andelt WF. (2004). 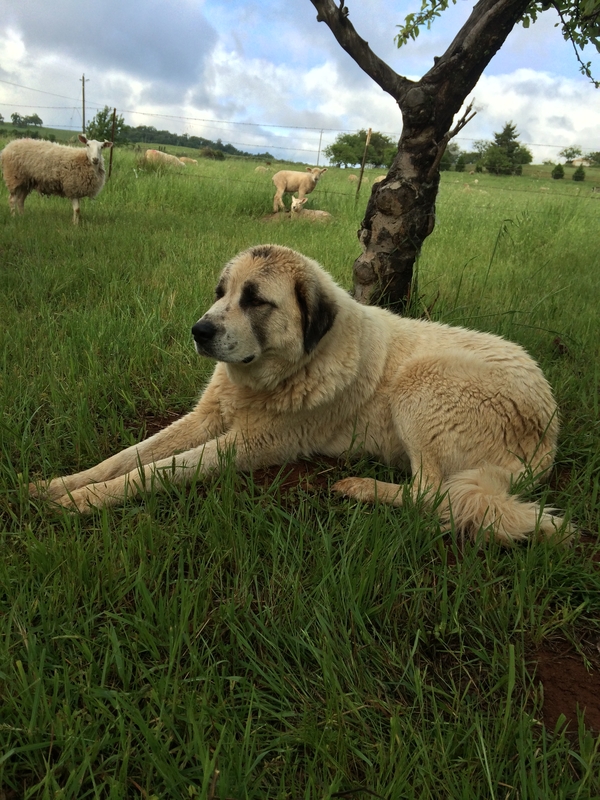 Use of livestock guarding dogs for reducing predation on domestic sheep. Wildlife Society Bulletin. 20:55-62. Breck S. (2004). Minimizing carnivore-livestock conflict: the importance and process of research in the search for coexistence. In N Fascione A Delach ME Smith (Eds. ), People and Predators: From Conflict to Coexistence. (13-27). Washington, DC: Island Press. Gehring T et al. (2010a). Utility of livestock-protection dogs for deterring wildlife from cattle farmers. USDA National Wildlife Research Center – Staff Publications. Paper 1344. (Available at http://digitalcommons.unl.edu/cgi/viewcontent.cgi?article=2342&context=icwdm_usdanwrc). Matchett MR Breck SW and Callon J. (2013). Efficacy of electronet fencing for excluding coyotes: a case study for enhancing production of black-footed ferrets. USDA National Wildlife Research Center – Staff Publications. Paper 1522. Ramler J et al. (2014). Crying wolf? A spatial analysis of wolf location and depredations on calf weight. American Journal of Agricultural Economics. 96(3):631-656. Stone SA et al. (2017). Adaptive use of nonlethal strategies for minimizing wolf-sheep conflict in Idaho. Journal of Mammalogy. 98(1):33-44. As in much of the world, carnivores and grazing livestock in our four-county region (Placer, Nevada, Sutter and Yuba) share the many of the same rangeland habitats. In some cases, land use conversion of rangelands - often to urban or suburban development - concentrates livestock and predators on a shrinking landscape - making conflict inevitable (see Zimmerman et al., 2010). As many ranchers know, the main predators of sheep, goats and cattle in our region are coyotes, mountain lions, black bears and domestic dogs. 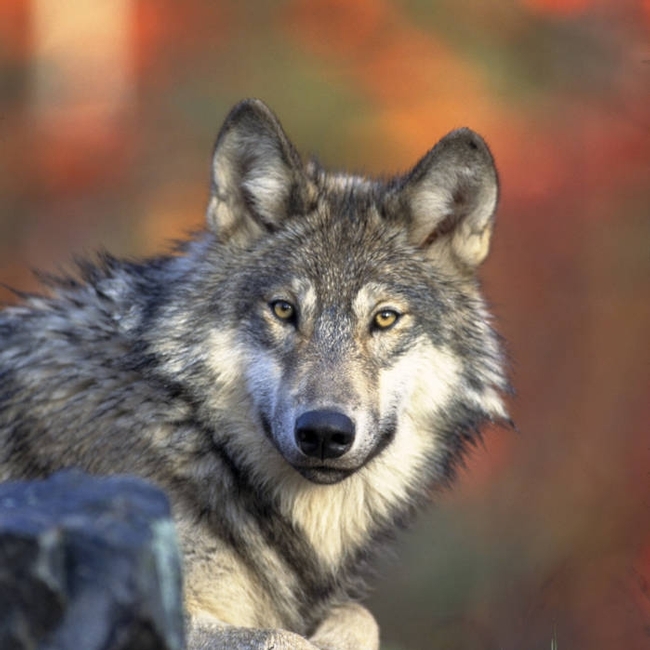 In the last several years, gray wolves have come back into northern California. The California Department of Fish and Wildlife (CDFW) recently collared a female member of the newly named "Lassen Pack," apparently in the mountains somewhere west of Susanville. Gray wolves in California are protected under both the state and federal endangered species acts; lethal control of gray wolves is not an option in California. CDFW anticipates that gray wolves will eventually move as far south as I-80 in the Sierra Nevada and Mendocino County in the Coast Range. 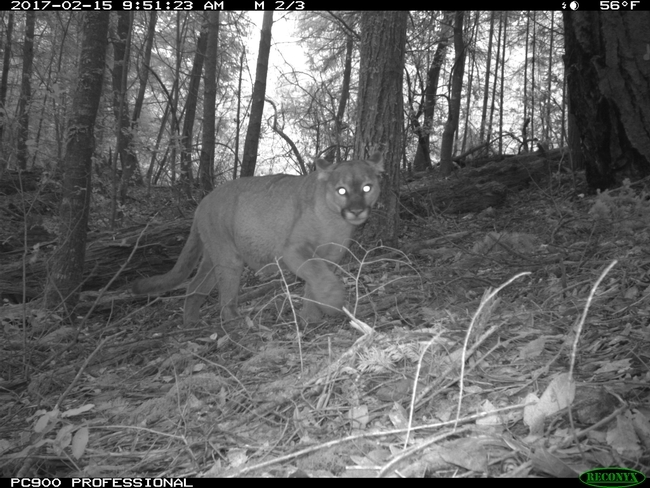 Closer to home, I attended a meeting of the Sutter-Yuba Farm Bureau this week, which featured a discussion about a mountain lion that was collared and recently spotted in the Sutter Buttes (an area in which such sightings are apparently unusual). Ranchers in the Buttes were legitimately concerned about the safety of their livestock. While mountain lions are a specially protected species in California, ranchers can obtain depredation permits if a mountain lion has killed livestock. According to CDFW, if you suspect lion depredation, you should preserve the carcass and scene (by placing a tarp over the carcass, covering tracks with cans or buckets, and minimizing disturbance). Call your nearest CDFW office or local Wildlife Services specialist (or county specialist in Placer County). If a lion kill is confirmed, CDFW will issue a depredation permit. See below for contact information for these agencies. 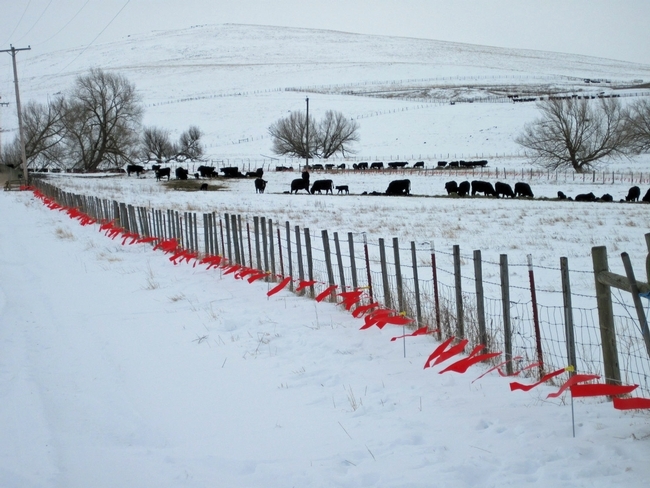 Livestock protection tools - guardian dogs, electric fencing, increased human presence (to name a few) - can offer site- and operation-specific protection for grazing livestock. Along with a number of campus-based specialists and other farm advisors from through northern California, I have been working on a new publication that will help ranchers (and others) evaluate these tools for their own operations. We hope the publication will be available this fall. We will also be launching a livestock-carnivore information hub on the UC Rangelands website. Stay tuned! Finally, we have also initiated a long-term survey to evaluate the direct and indirect impacts of predators on rangeland livestock operations. This study, which will continue over the next 10 years, will examine direct impacts (death loss) from predators, as well as potential indirect impacts (reduced conception rates, lower weaning weights, increased labor, the cost of nonlethal tools, etc.). If you are a commercial livestock producer who has at least 5 years of records on your operation and who plans to stay in business for at least 10 more years, please contact me if you're interested in participating in this project. My email is dmacon@ucanr.edu. In the meantime, I have provided a number of links regarding depredation and carnivore-livestock co-existence, as well as contact information for local agency offices. USDA Wildlife Services - California - the state office can provide contact information for wildlife specialists in your county. National Wildlife Research Center - the research arm of USDA Wildlife Services. The center is conducting a variety of research projects related to livestock-predator interactions. CDFW Gray Wolf FAQ Sheet for Ranchers - tools for California livestock producers to discourage wolf presence, guidance for suspected wolf depredation, and wolf legal status.